2. What Next for Marxism? Welcome to the 17th Special Issue of the SHAPE Journal, the first in a new series on Marxism and Science. The major difficulty in defining an agenda for the essential work of Marxists today is just that the necessary range is so vast, and yet any selectively biased content will undoubtedly have the same damaging effect as has been shown to be the case in the concentrations followed in the last period. The work must be carried forward on all fronts. But, in merely saying that, such cannot, of itself, reconstruct the ground on which current Marxism is pursued: that could indeed remain exactly the same, but applied to a wider variety of areas. There is clearly more to it than mere range. Indeed, there can be little doubt that the standpoint of Marx and Engels has been abandoned by current Marxist, even though they continue to strongly acclaim the virtues of those giants. Frankly current Marxists have abandoned Marxism, because they are simply not up to the task. But, if so, how can such a Series re-establish the sound philosophical standpoint of the founders of Marxism. It clearly cannot be achieved by merely quoting selectively from those masters. The current practitioners have to do what Marx and Engels did, only more so, and in a much wider and more demanding set of areas. For, as these philosophers showed, there is absolutely NO specialist area of human investigation that cannot profoundly benefit from the supreme holistic, philosophical standpoint of Marxism. But how on earth can we redefine that, and ensure that it is indeed used as the point from which to view Reality in every possible respect? It is clear to this author, after a lifetime of participation in many different Sciences, and a worthwhile contribution in many of them, that the touchstone area to ensure that the correct approach is followed has to be Science, before almost anything else. Now, this general area was widely ignored after the early Marxists, and indeed, in spite of the quite evident major crisis in Sub Atomic Physics that has now lasted for around a century, no one Marxist has been able to address this impasse, and currently many of the same ilk are queuing up to actually conform to the retreat that goes under the title of The Copenhagen Interpretation of Quantum Theory, and its consequent and wholly idealist developments. The test piece for this required rejuvenation of Marxism has to be the Defeat of Copenhagen – totally and unrecoverably! Now it wont be easy, for this “section” of Physics has turned away from explaining Reality to exploring a much more amenable World – that of Pure Form alone, the domain of the Mathematicians, which I insist on clearly identifying as Ideality! Yet it is hard to depart from a definition of Science as The Study and Explanation of Reality in all its aspects, and hence it is not only inseparable from Philosophy, but would seem, at its best, to stand upon identical ground to Marxism as a philosophical standpoint. And though, in small areas, a new approach to Science, which is entirely holistic rather than pluralistic has begun to appear in a number of specialisms, they are totally uncoordinated. No comprehensive methodology for a Holist Science has been developed or even admitted to be necessary. The total abandonment of the holist idea behind Miller’s Experiment concerned with an investigation into the Origin of Life on Earth, shows just how indissolubly wedded to Plurality is the Science of Today. All the consequences of a pluralist standpoint dominate current Science, from Analysis based upon the separability of all contributing factors in any situation, right down to a causing hierarchy to the simplest of fundamental, immutable bases – Reductionism. Indeed, the true Nature of Reality is denounced, to be replaced by the much more easily used pluralist and domain-based construction. Yet, as this author has demonstrated, a modern version of Miller’s Experiment is entirely possible, using techniques already available, from pluralist science, but used to contribute to an entirely holistic core experiment. Now the overall task outlined here is clearly much too big for a single Special Issue of SHAPE Journal, or even of an ambitious book. And it is certainly too big for a single individual to tackle either effectively or comprehensively. But, to establish this vital area will require specialists: scientists who are dissatisfied with the universally dominant pluralistic approach. The author of this paper has been involved in Marxist politics all his adult life, but there were never enough scientists there. In spite of being a mathematician, a physicist and a biologist himself, his clear commitment to these disciplines was invariably dismissed as a deflection from the real issues. My political colleagues were mistaken! It is the responsibility of Marxists to include Science as the only other discipline possible to reveal vast tracts of Reality. To ignore Science, or even worse to merely follow its pluralist bias is unforgiveable. A start must be made! 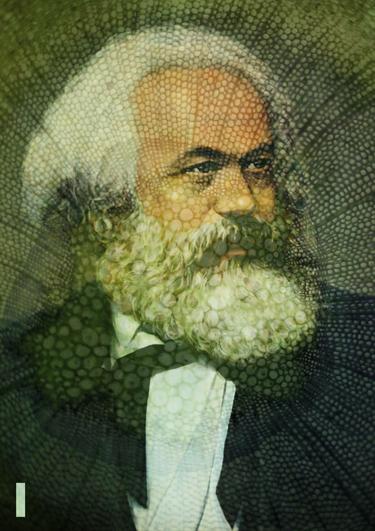 This new Series of Special Issues of the SHAPE Journal, will be totally dedicated to Marxism in Science. The purpose will be to encourage many more to join in the effort and submit their own contributions. These are intended to be interleaved with other Issues of the SHAPE Journal, appearing about every two months or so, and should therefore take two years for the complete cycle to be completed.